Keith Mahar is a social worker, mental health advocate and political activist based in Canberra, Australia. He is a dual Australian-Canadian citizen who holds degrees in business administration and social work. As a mental health advocate, Keith has delivered presentations at local, national and international conferences. He is a former board member of Mental Illness Education ACT (ACT stands for the Australian Capital Territory), Mental Health Community Coalition of the ACT and Youth Coalition of the ACT. He was also formerly a member of the National Mental Health Committee for the Australian Association of Social Workers and on the Disability Advisory Group for the Institute for Governance and Policy Analysis at the University of Canberra. In 2012, Australia's then Minister for Mental appointed Keith to a consumer reference group established to help shape mental health reforms (press release). Keith’s story of experiencing severe mental illness while a political activist in Canada, and his subsequent recovery in Australia, has been addressed in the book Coming Out Proud to Erase the Stigma of Mental Illness (Corrigan, Larson and Michaels, 2015), programs broadcast by the Australian Broadcasting Corporation (Kimball, 2 August 2013; Tait, 27 September 2011) and a feature story in The Canberra Times (Cronin, 27 November 2010). He has also been acknowledged by Senator Carol Brown in the Australian Senate (Hansard, 15 June 2011). Former U.S. First Lady Rosalynn Carter has described Coming Out Proud to Erase the Stigma of Mental Illness as “a seminal work that confronts stigma head on”. 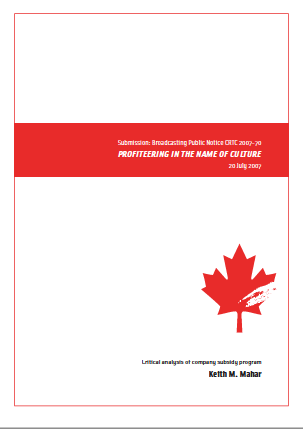 As documented in his chapter in that same book, Keith formerly had a corporate career in the Canadian broadcasting industry. 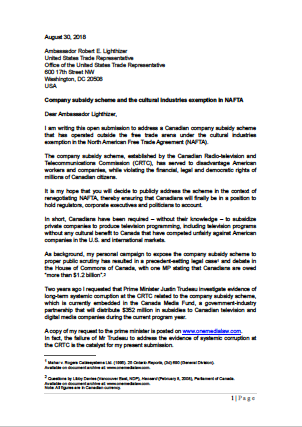 During his tenure he became increasingly concerned by the regulation of the cable television industry by the Canadian Radio-television and Telecommunications Commission (CRTC). In 1995 he publicly challenged an unjust corporate enrichment scheme and some of the most powerful vested interests in the country, resulting in questions to then Prime Minister Jean Chrétien in Parliament. When politicians failed to properly address the matter, Keith initiated a legal proceeding against a company controlled by then billionaire Ted Rogers. 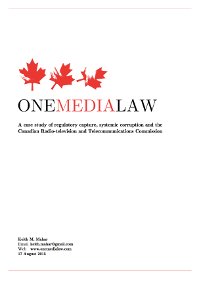 While Mahar v Rogers Cablesystems Ltd. became a precedent-setting legal case that continues to influence costs jurisprudence in public interest litigation, it remains undetermined whether or not the federal regulator and companies acted unlawfully in the unjust enrichment scheme, as symptoms of bipolar disorder stopped Keith in 1996 from challenging the CRTC and corporations in the Federal Court of Appeal. In 1998, less than 15 months after experiencing acute psychosis and requiring hospital care, Keith contributed to Bill C-381, a private member’s bill introduced by MP Dan McTeague that sought to amend the Canadian Radio-television and Telecommunications Commission Act in the public interest; which died on the Order Paper when an early federal election was called in 2000. The same parliamentarian commissioned Keith to undertake research into reform of the federal regulator, resulting in a joint submission to the Liberal Caucus Group on the CRTC. 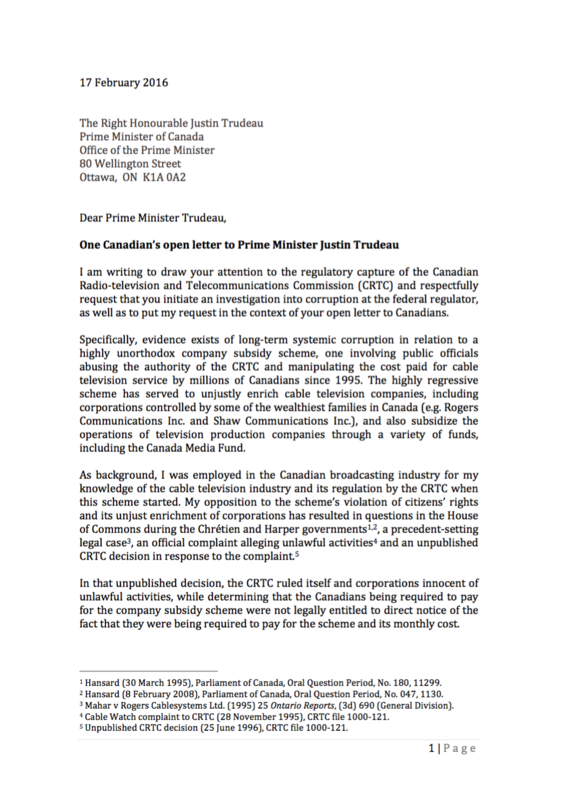 Since 2006, Keith has provided several opportunities for Canada's federal government to address the unjust enrichment scheme and evidence of long-term systemic corruption at the CRTC. His objection to the scheme resulted in the issue being raised a second time in Parliament, during 2008. At that time, MP Libby Davies stated in Parliament that Canadians were owed more than $1.2 billion. However, Stephen Harper and his administration did not investigate the matter. Keith hopes that his activism will ultimately result in a public inquiry into the CRTC, with broader implications in regard to the relationship between government and corporate interests, as well as Canadian journalism (NOW magazine previously listed his campaign as one of the top stories missed by Toronto’s mainstream media in 1995). He currently divides his spare time between his mental health advocacy in Australia, documenting the evolution of the CRTC issue, and researching related subjects including corruption, regulatory capture, politics and the media.